← Day 91: Make Butter in a Jar. The use of the elbow is an ancient Chinese secret. Just when I thought I had tried every possible kind of massage known to man, I stumbled upon yet another new variety: Chinese Tuina massage (or Tui Na). And just in time for thrifty Thursday! It is similar to Reiki, in that it tries to bring the body’s energy flows (chi) back into balance. But that is most definitely where the similarity ends. A Tuina practitioner will use every thumb, fist and elbow available to knead, press and rub the knots right out of the acupressure points along your body. This was quite possibly the deepest massage I’ve ever had. I almost cried uncle! The voucher I bought was for a 1-hour body massage treatment at the Happy Foot Spa (I paid $35, retail value $70). I opted to redeem it at their Yorkville Avenue location, which is just below street level on the north side, closer to Bay. The staff is extremely courteous, and the place is very clean. What more could you ask for, really? My practitioner’s name was Bob. I must admit, I have always been a teensy bit jealous of my Asian friends who were allowed to choose their own English names when they moved to the West. It’s kind of like gaining a secret identity, or becoming an international spy. What’s in a name? Lots of squiggly lines, apparently. One of these days, I swear I’m going to move to the Far East, and choose a name for myself that is not just something pretty, like Lily or Daisy, or plain old LaLa (拉拉), but a name that translates into something spectacularly awesome, like ‘She Who Eats Cheese And Laughs All Day‘. Then you could call me SWECALAD for short. It kind of has a ring to it, don’t you think? Anywho… Back in the treatment room, I got settled under the towel and prepared myself for a proper thumping. Almost immediately, Bob tweaked to my weaknesses, particularly in my neck, where he proceeded to seemingly ‘push and grasp‘ my vertebrae back into alignment, which, coincidentally, is the literal translation of Tui Na. 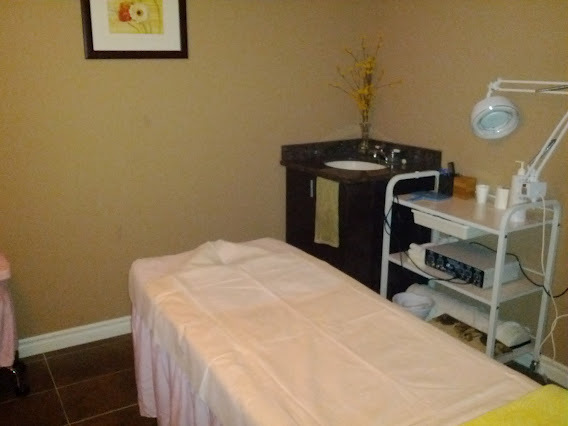 To be fair, Bob said that the treatment I was receiving was actually a combination of Tuina, Lymphatic Drainage, and Shiatsu – the best of all possible combinations. All I know is that I definitely got my money’s worth, as the session lasted the full hour, and after just about every single part of my body had been pounded into submission, I noticed an increase in my ability to spin my head to look at shiny objects to my right. And that has to be a good thing. Next time, I’m thinking of adding on the Happy Foot Spa specialty – namely, reflexology. Because toes are people too. Now where did all my little piggies go? They must still be at the market. Mmmm… market. They sell cheese there. Gotta go! This entry was posted in Health and tagged Chinese Tuina massage, deal, Happy Foot Spa, health, May, Toronto, voucher, Yorkville. Bookmark the permalink.